Today, we would like to look at seven more new features added to the new iteration of Dynamics GP 2018 R2. The first of three Payroll-focused features added top GP 2018 R2, Start Date and End Date for each pay code changes the way that check runs are completed. 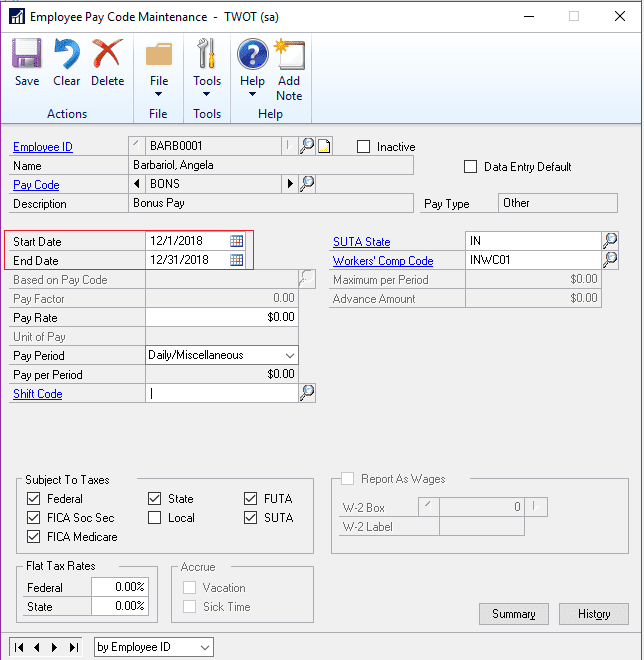 Added to the Employee Pay Code Maintenance Window, the feature is used when building the check run as to whether to include the selected pay codes. So if the check run is before the start date or after the end date, that pay code will not be included. Also added to the payroll functionality, GP 2018 R2 adds a shared maximum benefit and deduction code. This new window allows professionals to set up calendar year maximums for things like 401K, Insurance, and more. 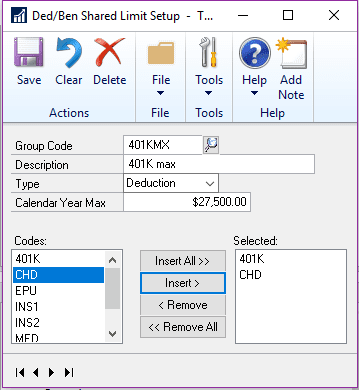 This new window, Ded/Ben Shared Limit Setup, looks at the year-to-date amount and compare it to the calendar year max in this new window. A third Payroll feature makes it easier to view and print total employer and employee FICA totals owed. Added to the Payroll Check Register Report, a new Total FICA Owed, Total Employee FICA owed, and totals for both FICA Medicare and FICA Social Security all print on the payroll check register report. There are many occasions in which you do not need to order the complete amount listed on a requisition. 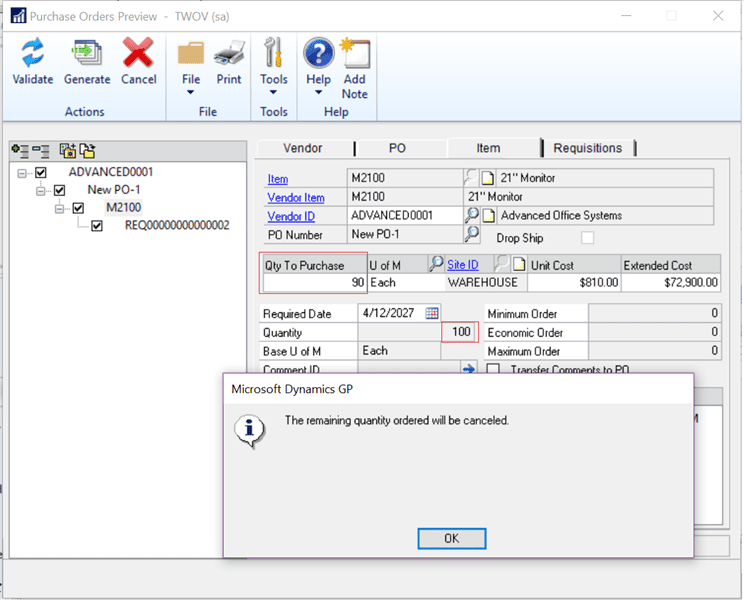 Responding to user requests, Microsoft has adapted the purchase order functionality to allow a partial purchase on a purchase order. When creating a purchase order from a purchase requisition you now have the option to change the quantity on the PO. Therefore, if the purchase requisition has a quantity of 100, when the PO is created you can change that quantity to something less, like 90. The remaining quantity is then canceled on the purchase order. When sending purchase orders in previous versions of GP, you had one email option—blank paper. 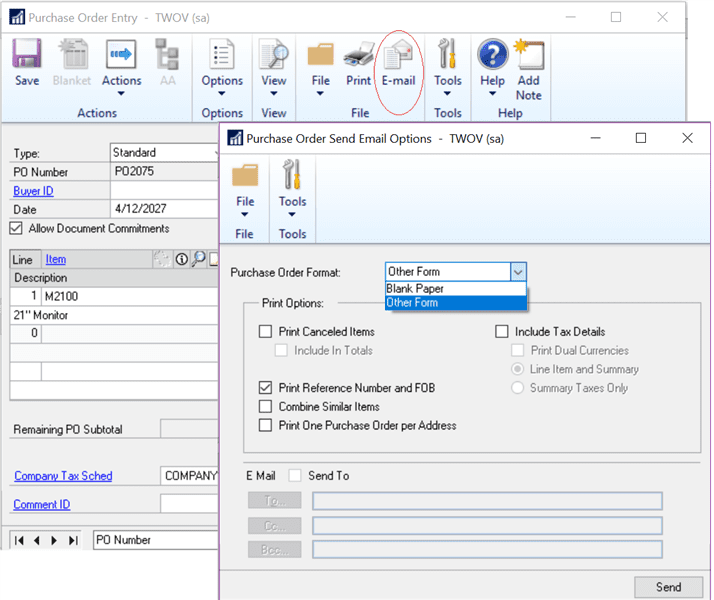 In GP 2018 R2, the Purchase Order Entry window the Email button now has both the Blank Paper and Other Form so you have options when sending the purchase order to the vendor. Microsoft added a variety of new features to make the checkbook management process easier. The first improvement is added for situations in which a user would create a computer check batch. 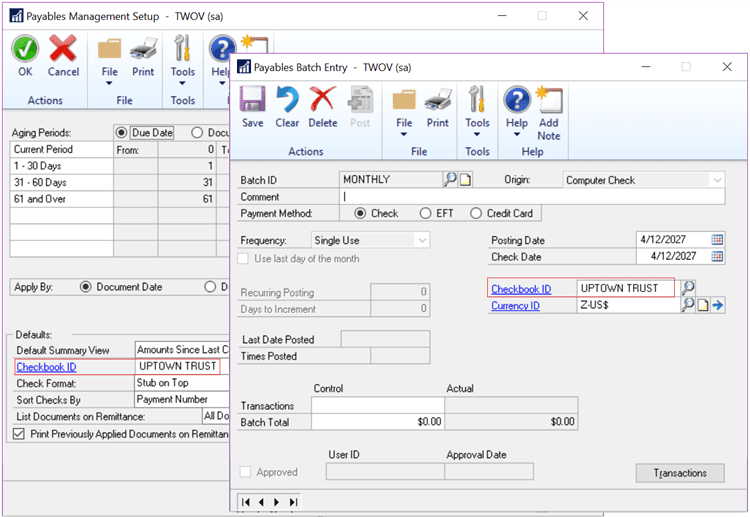 In GP 2018 R2, the Default Checkbook ID from Payables Management Setup will now default in the Payables Batch Entry window for Computer Checks. Additionally, the Checkbook ID will also default to the default ID in the Select Payments and Edit Payment Batch windows. 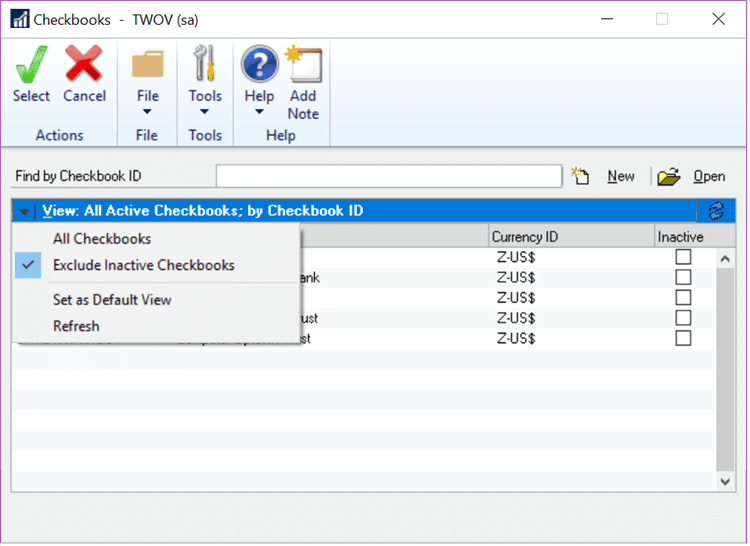 When searching for Checkbooks in GP 2018 R2, you now have the option to exclude inactive checkbooks by default. This feature cleans up the results and gives you more visibility into only the active checkbooks within the list. Dynamics GP 2018 R2 Out Now: Will You Make the Move? Microsoft Dynamics GP 2018 R2 offers a wide variety of new features for the users and administrators, and marks another chapter in Microsoft Dynamics GP’s long and vibrant history. Are you looking for a GP Partner? Integrated Business Group has helped clients to leverage GP for decades and whether you’re in need of a new implementation, upgrade, or just a partner who can help you with ongoing use, we’re there for you. We invite you to learn more about our services and contact us for more information.